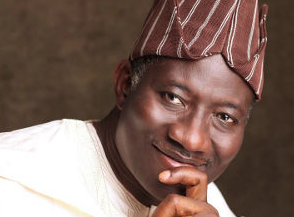 The Presidency on Tuesday inaugurated an 11-member committee charged with the task of coordinating the various groups drumming up support for President Goodluck Jonathan’s re-election bid in 2015. The Special Adviser on Political Matters to the President, Prof. Rufai Alkali, inaugurated the committee. Alkali said at the inauguration: “As 2015 approaches, we note that the circumstances and fundamentals facing us are somewhat different. The opposition is different; the political landscape is different, the players are different and the issues are different. “Therefore to succeed in 2015, there is a great need to re-appraise our strategies and the structure of the umbrella organisation of the Goodluck Support Group (GSG) that helped us to victory in 2011. “In order to address these issues, the re-organisation of GSG has become imperative. I have therefore decided to set up a special GSG re-organisation committee to study all issues concerning the organisation and propose a re-organisation structure that will allow us position for 2015”. The political adviser called on the various Jonathan support groups to come forward and register with the GSG in the six zonal offices set up by his office. “The exercise will enable us to properly understand these organisations and their objectives, so that we can prepare to partner, coordinate and work with them to achieve victory in 2015. “This screening and evaluation exercise will be conducted by my staff, in collaboration with our state chairmen and other stakeholders and supervised by my senior special assistant on campaign groups”, Alkali added. The committee is chaired by Gen. Ahmed Ibrahim (rtd). Other members are – Chief Olusola Oke, Nick Eze, William Makinde, Mohammed El-Amin and Senator Nimi Amnage. Others are – Alhaji Lamido Chikaire, Prof. Tony Edoh, Hajia Barakat Sani, Godson Nnaka and A.Y.Ahmed. The committee was given 10 days within which to submit a report.